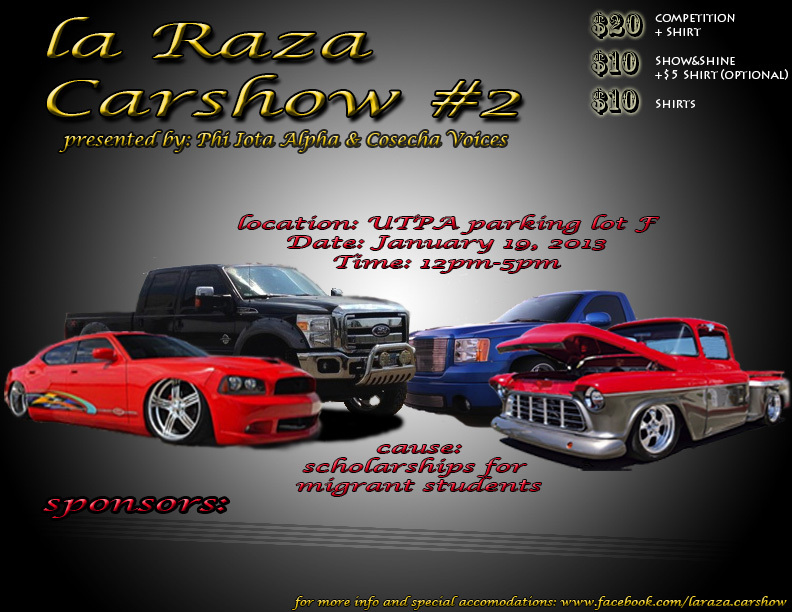 Cosecha Voices & Phi Iota Alpha Fraternity will be hosting “La Raza Car Show #2″ this upcoming Spring Semester. Profit made in last years car show, was donated for the creation of a mural in San Juan, Texas that honored Braceros and Migrant Farm workers. This years cause is to donate money for scholarships for migrant students!